The phrase "Hey, Manti" was heard about 2 hundred times tonight from various children, but mostly from Kade. 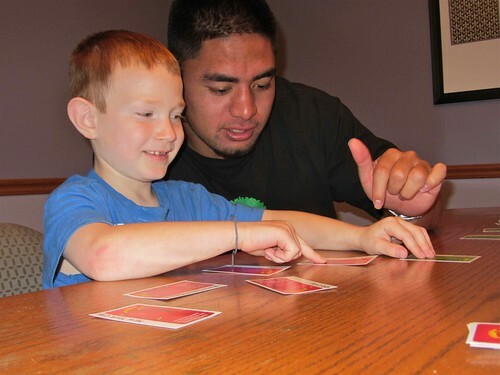 Manti and his friend Bruce came over for dinner and fhe. We played Apples to Apples Junior for the activity. Kade made sure he buddied up with Manti. Ouch. yeah, I guess having too many kids and moving out of state really hurt the cool status. So 2006- HA!